NAKIVO Blog > NAKIVO News > Events > VMworld 2018 Europe: Just as Exciting as VMworld 2018 US! 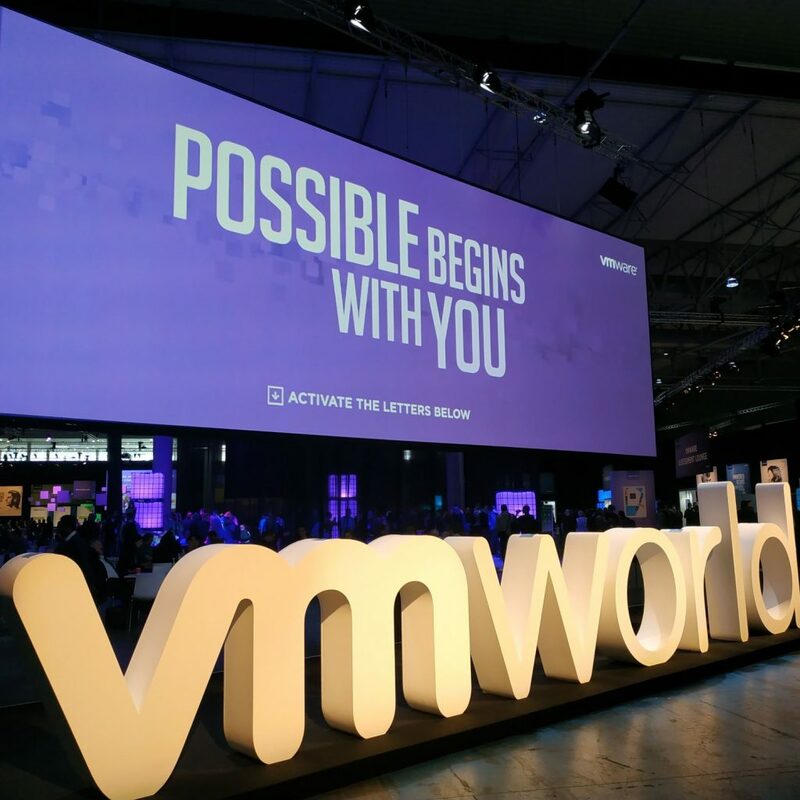 VMworld 2018 Europe has come to an end and our team is back with even more enthusiasm, new achievements, and great stories. The event was a blast and NAKIVO is truly glad to be a part of the VMworld community! NAKIVO is tirelessly developing and improving our flagship product, NAKIVO Backup & Replication. As you may know, this year we had the pleasure of presenting two new versions of the software and demonstrating our innovations at both VMworld events. NAKIVO Backup & Replication v8.0 with Site Recovery received tremendous positive feedback in Las Vegas, while v8.1 Beta has drawn the attention of thousands of attendees at this year’s VMworld Europe. Hundreds of local attendees showed interest in our brand-new functionality, with our pre-sales engineers running over 100 live demos of NAKIVO Backup & Replication. Our partners came to support us at this event, too. We had the opportunity to showcase our software’s new functionality in real time, share company news, discuss new promotions, and outline future strategies for even more fruitful cooperation. During the event, the team acquired valuable knowledge, explored new virtualization trends, and shared our expertise in the field. We also had the pleasure of interacting with numerous media representatives, bloggers, and virtualization pros. It was wonderful to see so many new and familiar faces! All in all, it was an eventful and productive time for our team. Thank you all for stopping by and supporting us at this year’s VMworld Europe gathering. We hope to see you soon at future virtualization-related events! Stay up to date by following NAKIVO’s official social media accounts!